THE United Nations (UN) has commended Zimbabwe’s new Government for its commitment to rebuild the economy and mend international relations. 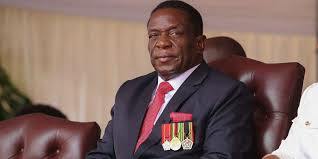 President Emmerson Mnangagwa has, since coming to power a few weeks ago, pledged to rebuild the economy and normalise relations with the international community. In a statement posted on their website yesterday, the UN system in Zimbabwe said it welcomed the new political dispensation after President Mnangagwa’s commitment to uphold human rights, while improving the country’s economy. “The United Nations (UN) System in Zimbabwe welcomes the expressed commitment of the Government towards: social cohesion and peace; economic recovery and job creation; improved quality delivery of social services; anti-corruption; accelerated reform efforts, including in the public sector; human security; credible, transparent and peaceful elections in 2018; and re-engagement with the international community,” the UN said. It said it will assist the country in rebuilding the economy, as the authorities re-engage the international community and international financial institutions. “The UN System in Zimbabwe reconfirms its commitment to supporting Zimbabwe to advance sustainable, rights-based and inclusive development for all and strongly supports the Government’s commitment and efforts towards re-engagement with the International Financial Institutions (IFIs),” said the UN. The UN pledged to support Government through its initiatives to promote accountability in the public sector and deliver social services. “Building on the long-standing engagement in the country anchored on a relationship of trust and mutual respect with all stakeholders, the UN System in Zimbabwe renews its collective commitment to support the Government and the people of Zimbabwe to realise their aspirations,” said the UN. “In this regard, the UN System in Zimbabwe commits to scale-up its joint support to national efforts. In so doing, the UN System remains committed to the principle of national ownership and leadership, under the overarching collective commitment to leaving no one behind, with a special focus on the most vulnerable populations, particularly children, youth and women.